The moonwalk is considered by many as one of the most popular dance moves ever. It was popularized or shall I say perfected by the late King of Pop Michael Jackson. After Jackson's Billy Jean performance on Motown's 25th Anniversary celebration in 1983, everybody wanted to imitate that out-of-this-world dance step. I though I knew everything about the moonwalk, until I did a little research. Contrary to what others believe, the moonwalk was not invented by Michael Jackson. The famous French mime artist named Marcel Marceau was one of first person to do the move and used it as part of the drama of his mime routines. It later on served as MJ's inspiration. 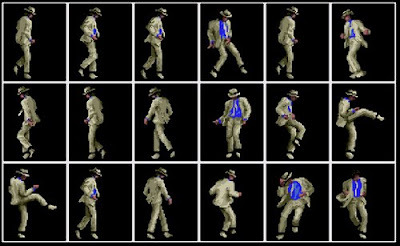 Tap dancer Bill Bailey was also known to have performed the moonwalk long before Jackson did. Pretty easy, right? But if you are interested about the scientific aspects of a perfect moonwalk, then let physics professor Rhett Allain explain them to you. "The key concept here is friction. Friction is actually uber-complicated, but a simple model works for many cases. 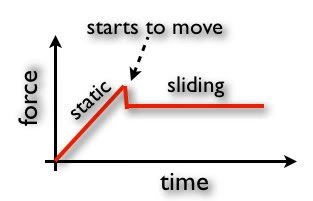 Static friction is a force exerted on an object when it is in contact with some surface but those two surfaces do not move relative to each other. Kinetic friction is a force exerted on an object when the two surfaces are moving. Suppose I have a block at rest on a table and I pull it with a slowly increasing force. This is what it would look like:"
"If his center of mass is in the middle, then r2 - r1 = r1 and the two normal forces would be equal (as you would expect). If the center of mass is more towards the foot on the right, then r2 - r1 is less than r1 and N1 will be larger than N2. This will make the frictional force on the foot to the right greater and the other foot slide. Well, what if r1 is greater than r2? One of two things would happen. Either he would fall over, or there would have to be a force pulling the foot on the left down. This is similar to Michael Jackson's trick in "Smooth Criminal"." To understand it more, read his blog post HERE.